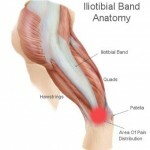 The iliotibial (IT) band is a thick and expansive band of tissue that extends from the thigh down past the knee and attaches first to the femur (thigh bone) and ultimately to the tibia (shin bone). When the knee bends (flexion) and straightens (extension), the femur pulls on the IT band that is anchored to it causing pain. This is a well-recognized cause of knee pain in runners, so it is commonly called “runner’s knee,” although the condition is not unique to runners. It is now frequently seen in cyclists, weight lifters, skiers, and soccer players. It has also been found that injury to the iliotibial band and related structures may be noted as lateral “hip” or lateral thigh pain, as well as lateral knee pain. When evaluating for ITBS, examining the lower back, specifically the sacroiliac joints as well as the biomechanics of the feet/arches is an important consideration. 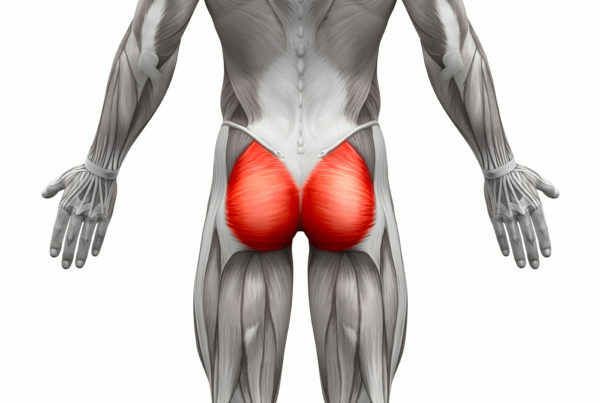 Most importantly, though, stretching and strengthening of the gluteus maximus, strengthening of the gluteus medius, as well as stretching of the tensor fascia lata muscle are the keys to help to loosen the tight IT band. Research shows that the IT band itself can’t be elongated (it is like a steel cable), so the common treatment of foam rolling of the IT band shouldn’t be performed.